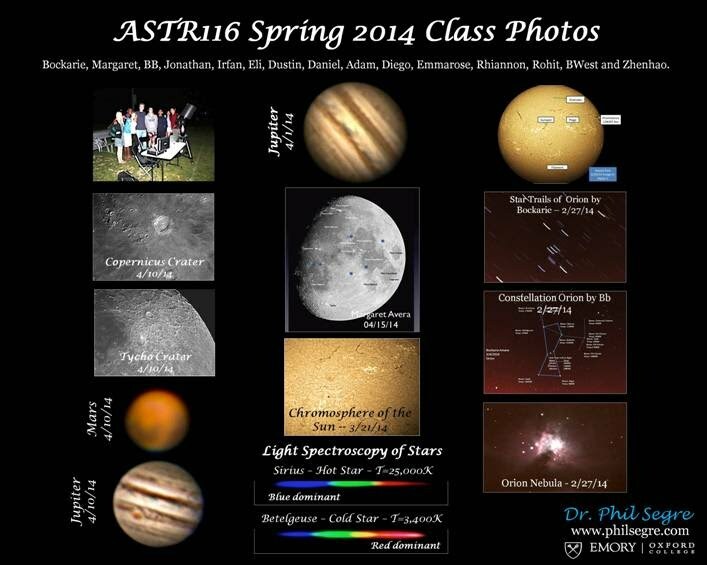 In the spring of 2014 we went out observing four different times. 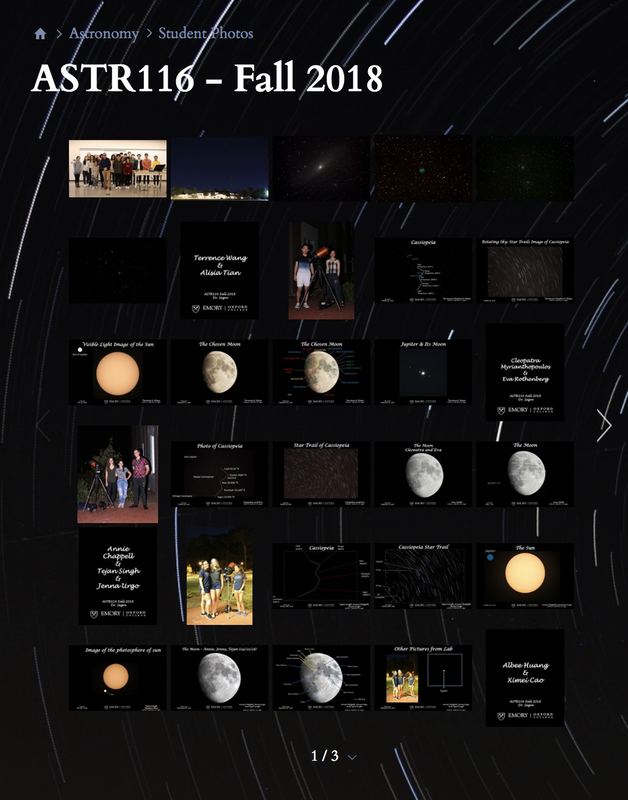 We began on Feb. 27 by photographing the constellation Orion and making star trail images to see the different colors of stars. On March 20 and 21 we observed the Sun through 2 different telescopes, one looked at the photosphere to see sunspots, the other sees the chromosphere to view granules, filaments, prominances and plages. 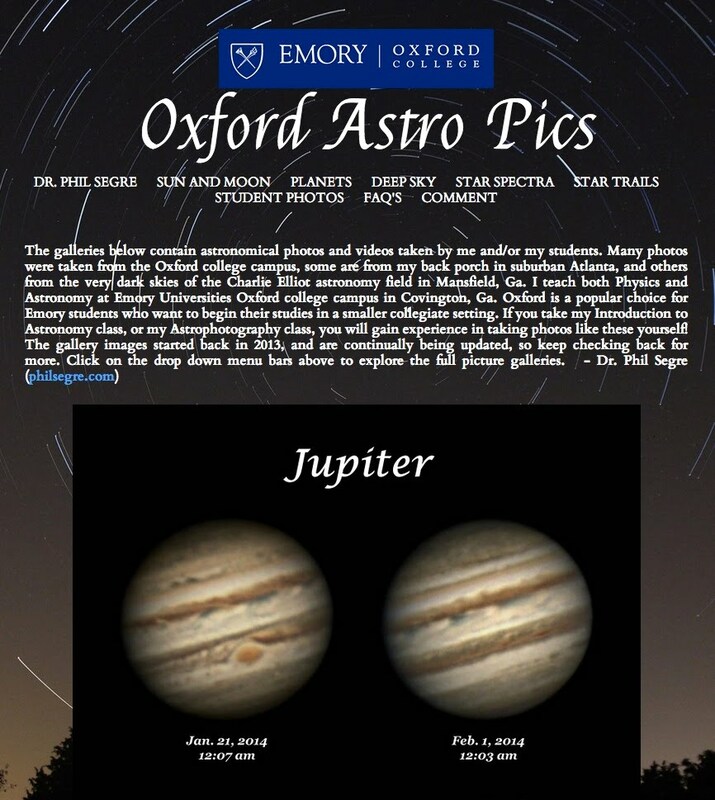 Two weeks later, on April 1, we were out again at night and photographed Jupiter and the great Orion nebula. We also took light spectra measurements of two different stars, one hotter and one colder. Finally, on the night of April 10, we focussed on photographing the (waxing gibbous) Moon as well as Mars. Here is just a small sample of some of the photos we took. Late at night on the Oxford Soccer field.